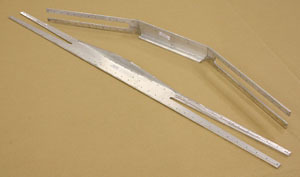 Scratch builders can now purchase pre-machined tail spars, saving the hours of difficult work required to fabricate these intricate parts from raw angle stock. SNX-T06-03 Forward Horizontal Spar Fitting and SNX-T03-02 Aft Horizontal Spar Fitting are now available pre-machined, drilled and bent per plans. 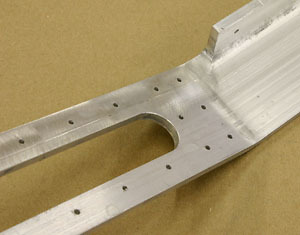 Pre-Machined Tail Spars save builders the most difficult aluminum angle fabrication work.